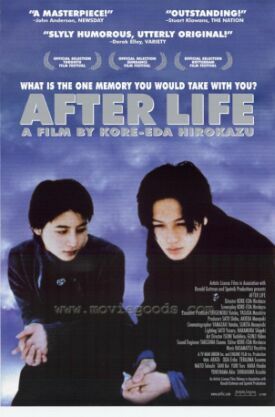 [Also see discussion in "Entry from July 27, 2011" under "My Diary"] I liked After Life by Hirokazu Kore-eda, whose previous film was Maborosi. It is a witty contribution to the genre that includes Here Comes Mr. Jordan, Stairway to Heaven and so forth, but it gives the bureaucracy of death a peculiarly Japanese look. The film is presented almost as a documentary, and the recently dead are interviewed by “counselors” who occupy a slightly seedy-looking institutional building, like an old school or a hospital where the electrical circuits are overloaded and there are signs requesting people not to use hair dryers. The bureaucrats grumble about the cold and their work and other things like middle-management anywhere. Above all, the premiss of this version of the afterlife is that the newly dead are required by the authorities (never more precisely specified) to choose one memory of their life on earth to carry with them through their subsequent journey into eternity (also no more precisely specified)—and then to make a video of it. That is the perfect Japanese touch, and Mr. Kore-eda makes the most of the gentle comedy in the cheap production values of these videos, which is all that The Man Upstairs, whoever He is, allows. A man whose one memory is of a particularly glorious day's flying is fixed up in a fake airplane on a soundstage and clouds made of cotton-wool are run past him on wires. Where is this video to be watched? Is eternity a lonely motel room with a VCR and only one video to watch? Is that supposed to be Hell? Or does the fact that the memory is a cherished one mean that it is supposed to be heaven? None of these questions is ever answered—or even raised explicitly. Instead, we are tantalized with them in the same way that, in real life, we are tantalized by the question of the afterlife itself. 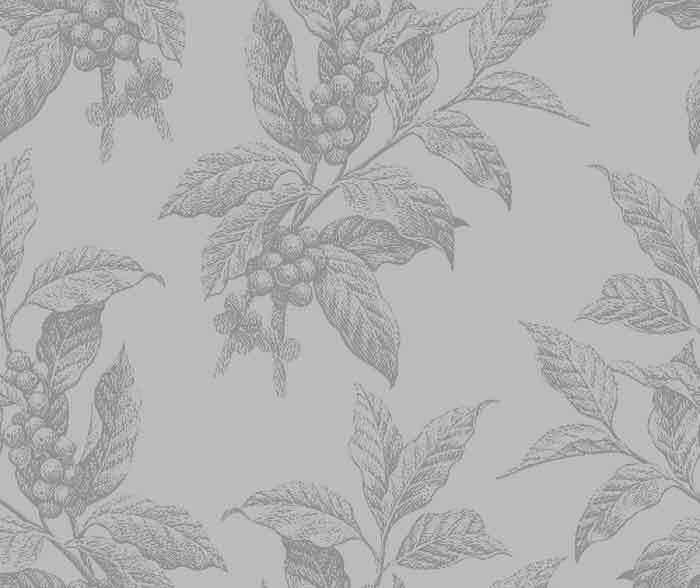 All such thoughts are, as it were, in the peripheral field of vision. Straight ahead, Mr. Kore-eda is exploiting the inherent pathos of people who must choose a single moment as the entire summation of their lives. Everything in us revolts against such a choice, and gradually we learn that those who cannot choose are those who are condemned to spend eternity—or until they can, whichever comes sooner—as the junior bureaucratic counselors and video makers. But the experience is deeply moving for him—and for us. Suddenly (oh wad some pow'r the giftie gie us!) he sees himself as others see him, and he is stricken with remorse. He is particularly regretful of the way he has treated his wife, with whom his marriage had been arranged. As a kind of atonement for his neglect of her and a belated appreciation of her simple devotion, he ends up choosing as his one memory the one occasion, shortly before she died, when he did something she had always wanted to do and gone with her (ironically) to the movies. As he sat with her on a bench afterwards, he promised more such occasions and she was happy—though she died soon after and they never happened. “We have plenty of time,” he had said. While all this is being sorted out, Watanabe's counselor, Mr Mochizuki (Arata) realizes that the wife was his own fiancée, before he was killed at 23 in the war. Ever since then, he has been serving in the After Life bureaucracy because he cannot make up his mind about his own single memory. Suddenly he has an inspiration. He goes and seeks out the woman's own memory, which is also kept on file in the Institute, recorded when she died five years before. He finds that the memory was of him and of their engagement, which had taken place, by coincidence, on the same park bench as Watanabe's memory. “I searched desperately for a happy memory,” he says, “until I realized I was part of someone else's happiness. What a wonderful discovery!” This enables him to choose at last and proceed to eternity—even though it means leaving behind a young fellow-counselor who has a crush on him. In the final scene we see Mochizuki filming his long-delayed memory on the same park bench chosen by Watanabe and his wife, where he sits alone. I'm still not sure exactly why, but the image was deeply moving to me. If it strikes you the same, you will enjoy this movie.